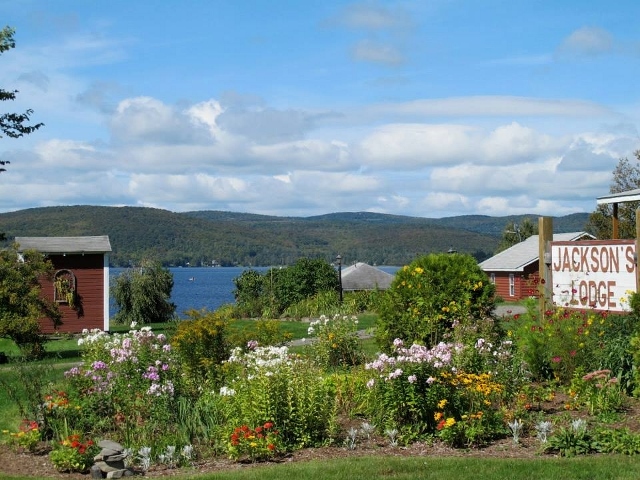 Located on the shores of beautiful international Lake Wallace in Vermont’s scenic Northeast Kingdom, historic Jackson’s Lodge has been a favorite destination of savvy vacationers for decades. If you’re looking for a relaxing getaway, a fun-filled family vacation, or just want to get away from it all, visit Jackson’s Lodge and Log Cabins to experience true Vermont living. Jackson’s Café is a local favorite for genuine homemade breakfasts. 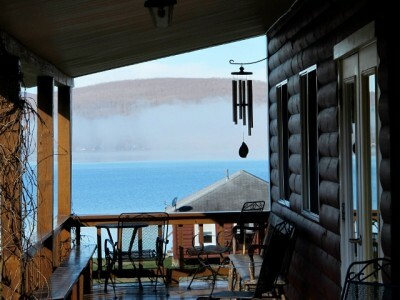 Charming log cabins, the beautiful sandy beach, sunsets and campfires on the beach and the peaceful lifestyle all contribute to a vacation and memories to treasure. All of Jackson’s cabins are pet-friendly and are meticulously maintained providing: a living room and dining area; fully equipped kitchen; full bathroom; two or three bedrooms; lakeside screened porch; and picnic tables. Linens and bath towels are also provided. 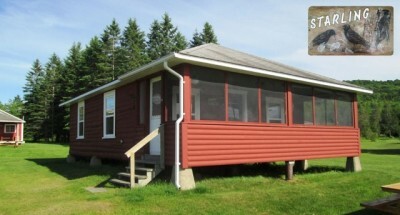 While the cabins have maintained their original, peaceful, and rustic (non-technological) charm, the Main Lodge offers television via satellite, complimentary telephone, and wireless internet access for our “rurally-challenged” guests who choose to stay in touch with the rest of the world. We also offer individual “Wayfarer Rooms” located next to the Main Lodge which we have chosen to keep pet-free. These rooms open onto a deck which overlooks the lake and cabins. 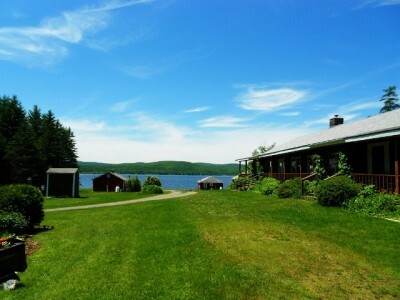 Onsite activities include swimming, canoeing, kayaking, fishing, or just relaxing on the beautiful sandy beach. Jackson’s has equipment available for horseshoes, volleyball, badminton, and basketball. The local area also offers hiking & biking trails, golf, and tennis. Interested in boating or fishing on the Connecticut River? It’s located just 4 miles from your cabin. On rainy days, come into the Main Lodge and play table tennis, watch a movie, or borrow one of the many available board games or books. Jackson’s has proved to be the perfect family vacation destination. Find out for yourself why so many families return year after year. Planning for your special wedding day? The warm and welcoming atmosphere of “The Lodge” is rustic-elegance, comfortable and inviting. Catering options are endless. Whether you choose to have us cater your event, or you prefer an outside caterer, the kitchen is ready and waiting! Give Gloria a call with your ideas and questions. I’m sure she’ll have some helpful suggestions and tips that she’s picked up while hosting more than 100 weddings over the past 25 years! Jackson’s has what it takes to transform your vision of the “perfect” wedding into a cherished lifelong memory! The Gazebo and outdoor recreation area at Jackson’s also provide the perfect venue for outdoor receptions. This scenic setting will make any anniversary party, class reunion, family reunion, or other gathering a day to remember. You provide the food and beverage. We provide the Gazebo and barbeque grills for cooking; and picnic tables for your dining and socializing pleasure.